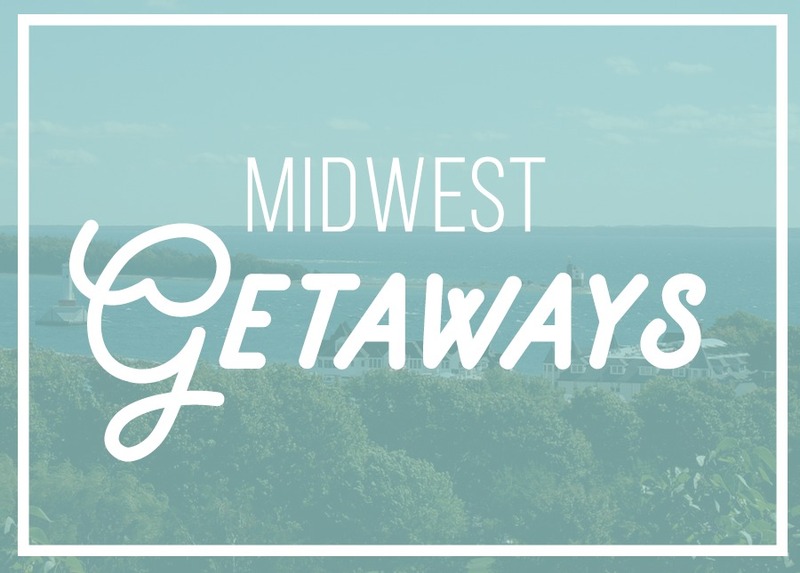 The Midwest is more than cornfields and Chicago; it’s also a great part of the country to visit for an affordable fall weekend getaway. Here are ten of the best Midwest budget trips, from cities to national parks to, yes, maybe a few rolling fields along the way. 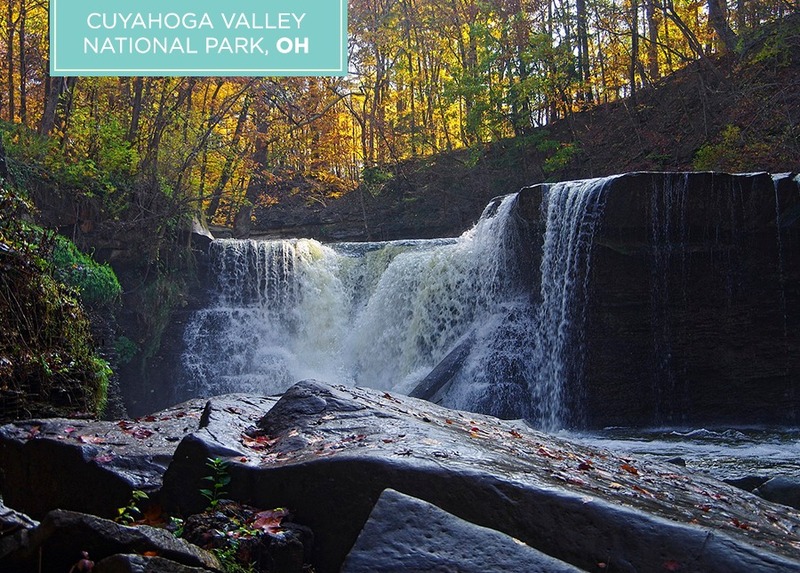 If you’re itching to get into the great outdoors for some beautiful fall foliage, Cuyahoga Valley National Park is the place to be. The state’s only national park, it has fishing, camping, and waterfalls galore. There’s even a train that runs through the park, and you can ride one direction and bike back for just $3. Hiking is always free and there are over 125 miles of trails. Plan your visit here. 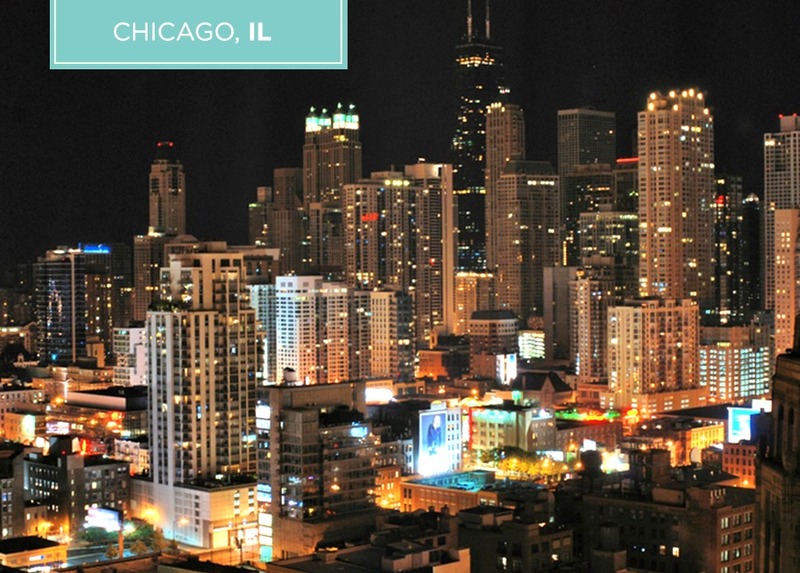 College towns make some of the best Midwest budget trips. 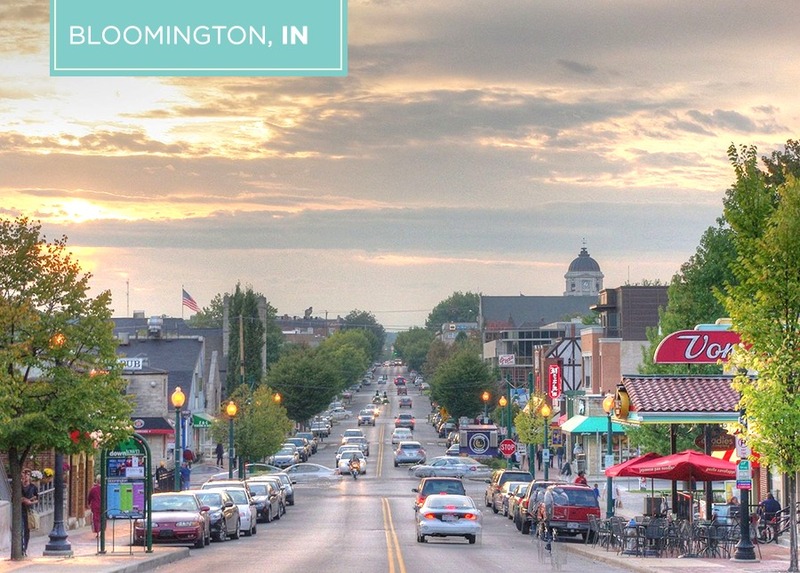 And like all good college towns, Bloomington has tons to do on the cheap any time of year, even if you’re not into college sports. The IU campus boasts several free museums, including the Lilly Library, where you can see one of only 11 Gutenberg Bibles in the U.S. Take a trip to the Tibetan Mongolian Buddhist Cultural Center, started by a former IU professor in the 1970s, and walk around its tranquil gardens. Finally, rent a bike and check out one of the many popular local routes in this bike-loving town. Learn more here. Ever wondered what life was like in the Midwest before the automobile? 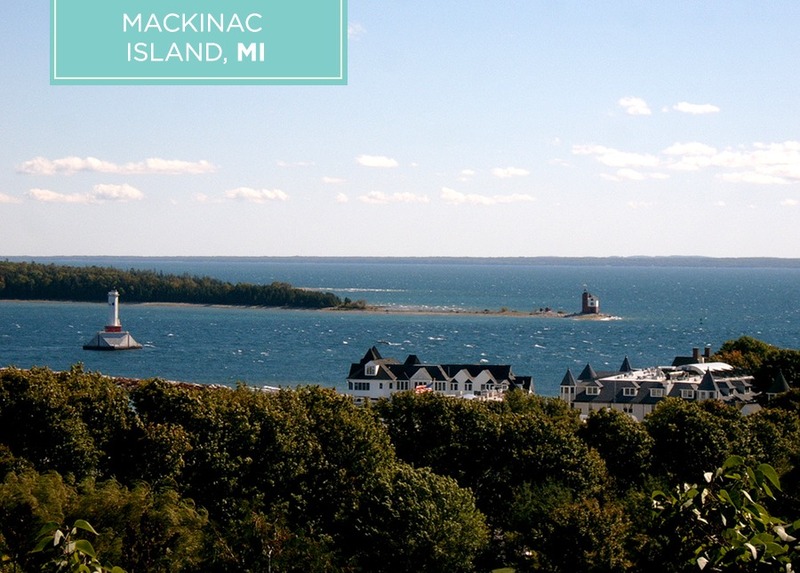 A trip to Mackinac Island, which is completely car-free, will satisfy your curiosity. Accommodations can be pricey at the height of the summer, but most of the island’s guesthouses are open well into the fall with appealing rates for Midwest budget trips this time of year. Almost 80% of the island is a designated national park, so pack your hiking boots. Instead of a pricey carriage ride, rent a cruiser from one of the many local bike rental stands and tour the eight-mile ring road around the island by pedal power. Read more about it here. Although it’s the third most populous city in the United States, Chicago is far more affordable than its coastal cousins New York and LA. It’s also one of the most iconic destinations for Midwest budget trips. Purchase a three-day pass and use the excellent public transit system to get around on the cheap. Check out the Lincoln Park Zoo, which is open year round and one of the only free zoos in the country. Stay in one of the many new and highly rated hostels in the city offering a variety of digs for less than the price of a standard hotel room. Finally, get a free city map, visit a clean restroom, and gaze at the largest Tiffany glass dome in the world at the Chicago Cultural Center in the middle of downtown, which is free and open seven days a week. Read more here. Whether you’re into history, art, politics, or just kicking back and relaxing with a drink, this capital city has the feel of a great college town combined with the amenities of a city, all at budget prices. If you’ve ever wondered what a magazine garden looks like in real life, a tour of the Better Homes & Gardens Test Garden should satisfy your curiosity. It’s free and open to the public on Friday afternoons from May to October. 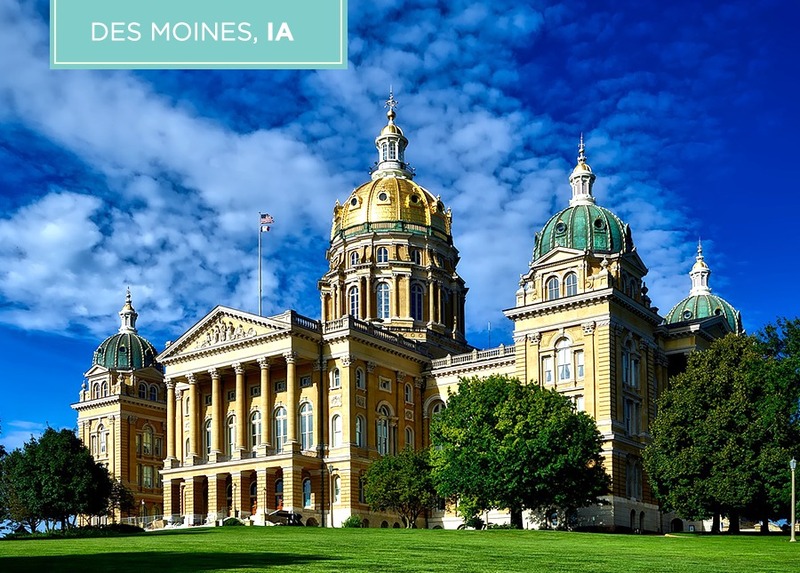 If you want to get your history fix, stroll around the East Village neighborhood, which is home to several historic buildings, including the Iowa State Capitol, and many cute restaurants and shops. Find out more here. 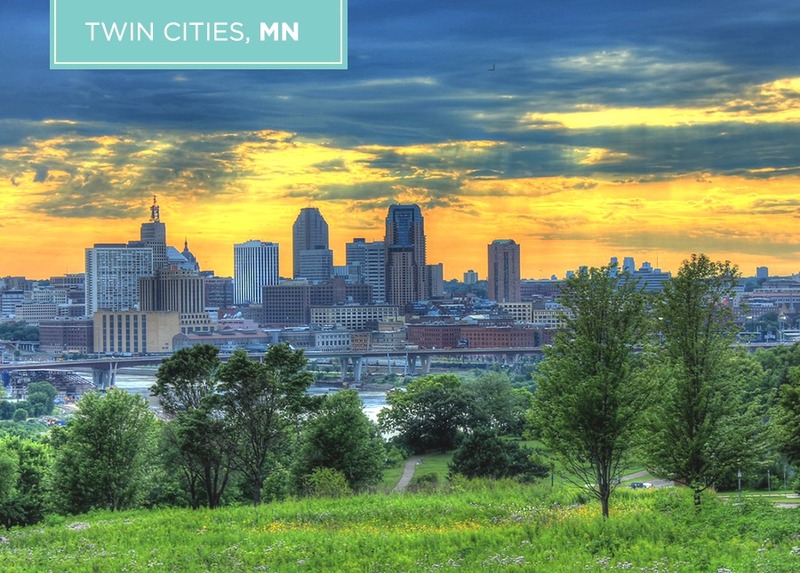 Although it’s likely to be chilly out, for your Midwest budget trip to the Twin Cities, bundle up and visit the Grand Rounds, the city’s biggest and arguably best public park, or hit up the free Minneapolis Sculpture Garden. If the weather is truly not cooperating, there’s plenty to do indoors, too. The Minnesota Institute of Art is free every day, and admission to the Mill City Museum is only $12. Nightlife doesn’t have to cost you much, either, if you make your way to First Avenue. Prince, a Minneapolis native, put this venue on the map in the 1970s, and today, most shows still cost less than $20. You might even see the next big thing to come out of the Twin Cities music scene. Learn more here. Road trips hold a special place in my heart, and if the destination looks like something out of this world? Even better. 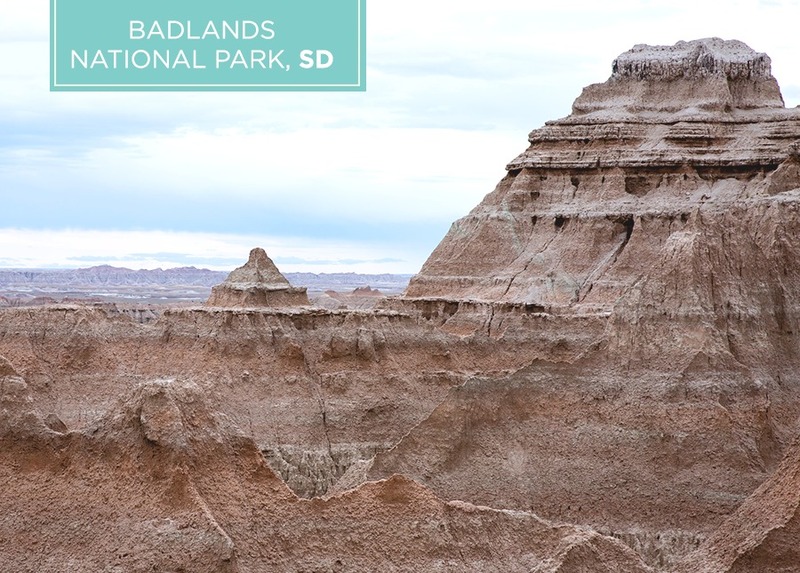 Enter Badlands National Park in South Dakota, with is steep canyons and crazy rock formations. Backpackers can camp for free many places in the park. If you don’t want to camp, simply driving around the Badlands transports you to a time when its only inhabitants were the Native Americans of the Great Sioux Nation and wildlife like bison and bighorn sheep. Be sure to pop over to Mt. Rushmore, which is 1.5 hours away, and pay only for gas and the $10 parking fee. More here. For one of the best Midwest budget trips, make your way to Motor City for a very affordable long weekend. Sunset photos at Belle Isle are a must, but there’s so much to do — most of it free — you could spend a whole day on this island, which was designed by Frederick Law Olmsted (of Central Park fame). 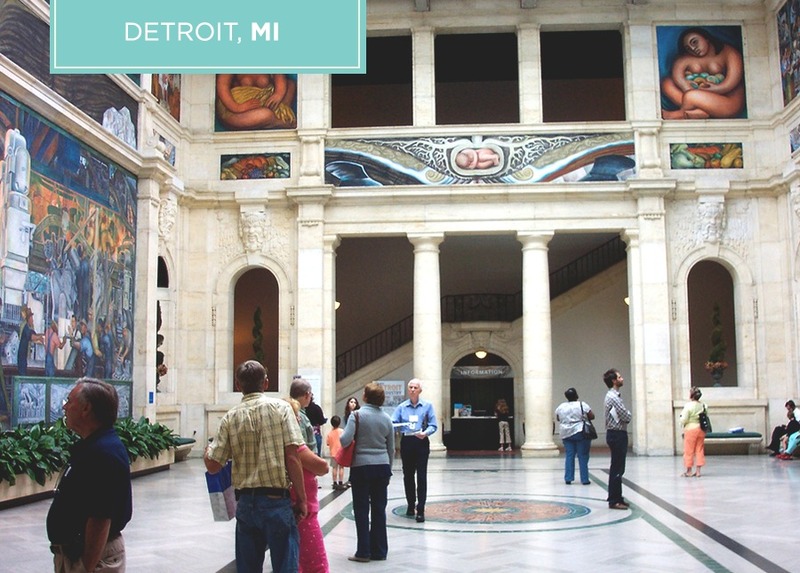 In the city, check out the Diego Rivera murals at the Detroit Institute of Arts to see the finest example of Mexican mural art in the country. Take a stroll through the Eastern Market, six blocks of local merchants and vendors, and one of the best places to go for soul food with a side of jazz. Finally, walk around the Heidelberg Project, a massive two-block art installation that began in 1986 with one man’s desire to improve the lives of the people in his neighborhood through art. Learn more here. 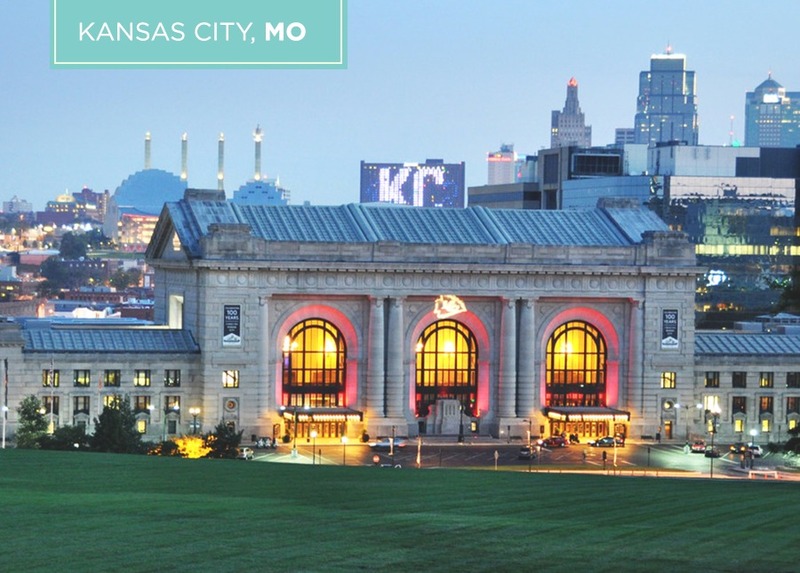 It’s known for barbeque and jazz, and both can be found for a bargain in this Midwest city. Many clubs and bars have free jazz during the week and modest cover charges on the weekend. The Kansas City Streetcar is free to ride. If money is on your mind, visit the Federal Reserve Bank of Kansas City’s Money Museum. Admission is free and each visitor gets a bag of shredded bills as a souvenir on their way out. For fine art, take a trip to the Nelson-Atkins Museum of Art, which has no admission fee, and be sure to get a selfie with one of the famous four giant shuttlecock sculptures on the museum’s front lawn. Find out more here. 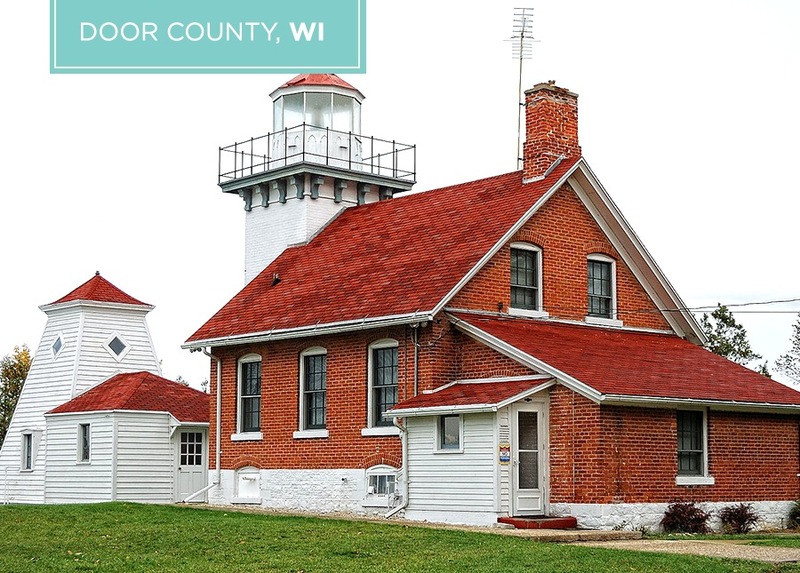 Often called the Cape Cod of the Midwest, Door County is your stop for a Martha’s Vineyard vibe for a fraction of the price. From apple picking to free wine tastings, there’s plenty to do this time of year. Head to one of the five state parks and pay for a $10 daily sticker that will get you into all of them within the same day. Pull out your nice camera and wind your way along the Door County Coastal Highway, which has some of the most beautiful fall leaves on display anywhere in the Midwest. The road offers stunning snaps at every turn, but my personal favorite is the last few miles of the northern section. Plan your trip here.